Starting 1 October 2018, KLM Royal Dutch Airlines will serve sustainable coffee from Douwe Egberts on all flights, both to European and to intercontinental destinations. Delicious, high-quality coffee is important to KLM passengers. The two Dutch brands, each with its own rich history, share the passion to bring people together. 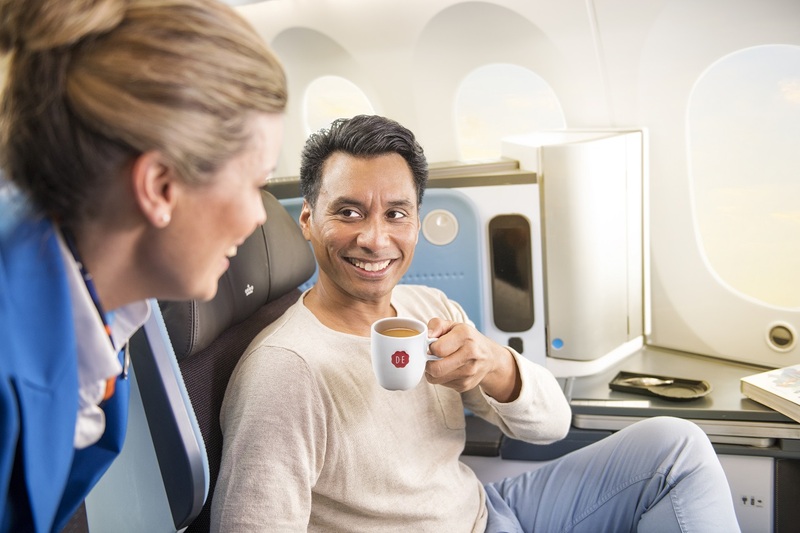 Starting in October, customers will drink Douwe Egberts coffee on KLM flights. Sustainability is important to KLM and therefore chooses to use UTZ certified coffee from Jacobs Douwe Egberts (JDE). KLM opted for a special coffee blend that works perfectly with the experience of taste at high altitude so that a cup of coffee will taste as good in flight as it does on the ground. Customers can enjoy the same coffee in the European Crown Lounge and the Intercontinental Crown Lounge. In October, the coffee will also be available for KLM staff in the Netherlands.